This study investigates whether women’s attachment to mother might influence Intimate Partner Violence (IPV) victimization, both directly and indirectly, through the mediation effect of romantic partner attachment. Twenty-nine IPV victims, aged 26–54 years (M = 39.52, SD = 8.36), and 31 women who were not victims of IPV, aged 29–54 years (M = 39.84, SD = 7.62), were recruited for the present study. Multivariate analyses of variance (MANOVA) were performed to explore differences between the clinical and control groups in attachment bonds, both to mother and romantic partner. Moreover, in order to explore if and which specific attachment bonds might play a role in predicting the onset and maintenance of violence within couple relationships, a mediational analysis was conducted. Female victims of domestic violence present higher levels of insecurity in their attachment bonds to their mothers and their romantic partners than women who are not abused [F(3, 56) = 36.66, p = .000, η2 = .66]. Moreover, an insecure attachment to mother significantly influences the involvement in violent couple relationships in an indirect way, through insecure attachment to the romantic partner (anxiety: β = .14, p < .01; CI 95%: .022; .371; and avoidance: β = .29, p < .001; CI 95%: .132; .494). This study highlighted that an insecure attachment could represent a risk factor for violence within couple relationships. This has strong clinical implications, especially for clinical psychologists and social workers who deal with the IPV phenomenon daily. L.P. collaborated with the design and data collection, analyzed the data, and wrote the paper. F.T. collaborated with the design and in data collection, assisted with the data analyses, collaborated in the writing, and editing of the final manuscript. All procedures performed in this study were in accordance with the ethical standards of the institutional research committee and with the 1964 Helsinki declaration and its later amendments or comparable ethical standards. The University of Florence provided IRB approval for the study. Barbaro, N., Parkhill, M.R., & Nguyen, D. (2016). Anxious and hostile: consequences of anxious adult attachment in predicting male-perpetrated sexual assault. Journal of Interpersonal Violence, 1–20. https://doi.org/10.1177/0886260515622301. Pearson, C. L. (2006). Adult attachment as a risk factor for intimate partner violence. 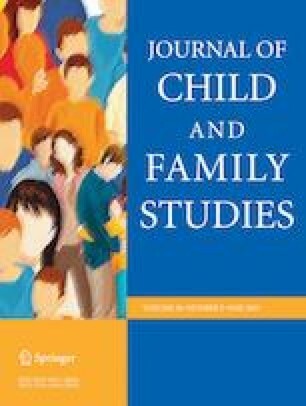 McNair Scholars Research Journal, 2(1), https://doi.org/10.1177/0886260507313526.